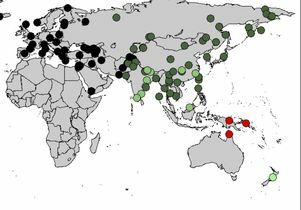 In humans today, concentrations of Denisovan DNA is highest in Australia and Papua New Guinea (red), but the new study found higher-than-expected levels in South Asia (light green). A new study by scientists at the UCLA Henry Samueli School of Engineering and Applied Science and Harvard Medical School offers surprising new insight into the genetic ancestry of modern humans. The research, published today in the journal Current Biology, also rewrites the timeline of when ancient humans interbred with other hominids by thousands of years. Scientists have long known that most of the world’s population, outside of Africa, has a little bit of Neanderthal DNA in their genetic makeup, meaning that humans and Neanderthals interbred at some point. But the new study suggests that many people might actually have a little bit of DNA that can be traced back to Denisovans — a population of ancient extinct hominids who lived alongside humans and Neanderthals until tens of thousands of years ago. And the research shows that humans interbred with Denisovans even more recently than they did with Neanderthals — perhaps as long as 100 generations later. The researchers used a library of genomic data for more than 250 modern human populations around the world and compared it to the DNA found in the Denisovan fossils. Then, using sophisticated modeling techniques, the scientists — a UCLA computational biologist and geneticists from Harvard — found that people living today in India, Nepal, Bhutan, Tibet and other parts of South Asia, carry more Denisovan DNA than existing genomic models had suggested. Denisovans were first described in 2010 through DNA extracted from a tooth and a finger bone fragment found in a Siberian cave in 2008. Genetically distinct from humans and Neanderthals, Denisovans diverged from the human family tree about 500,000 years ago. 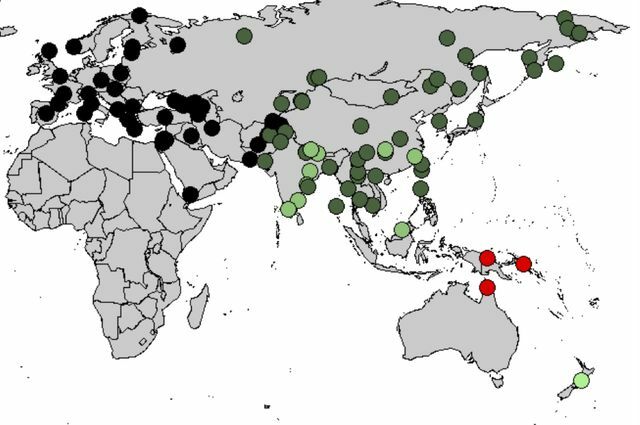 Previous studies showed that as much as 5 percent of the DNA of people who are native to Australia, Papua New Guinea and other parts of Oceana, descends from Denisovans. Researchers applied several genomic and statistical techniques to a rich dataset that included 257 genomes from 120 non-African populations. The study found that Denisovans and humans mated as recently 44,000 to 54,000 years ago. Neanderthals had previously been found to have interbred with humans approximately 50,000 to 60,000 years ago. The researchers also discovered that both Denisovan and Neanderthal ancestry has been deleted from male X chromosomes, as well as from genes expressed in male testes. The paper suggests this has contributed to reduced fertility in modern men, which it notes is common in hybrids of two divergent populations. The paper’s other corresponding author was David Reich, a professor of genetics at Harvard Medical School. 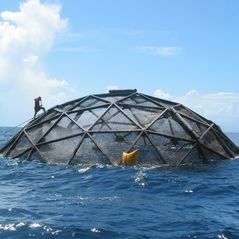 Reich is also affiliated with the Broad Institute of MIT and Harvard and the Howard Hughes Medical Institute. Other authors were Swapan Mallick and Nick Patterson, both of Harvard. Sankararaman also holds a faculty appointment in human genetics at the David Geffen School of Medicine at UCLA. He started the study while a postdoctoral scholar at Harvard. Map showing concentrations of Denisovan DNA in current human populations.